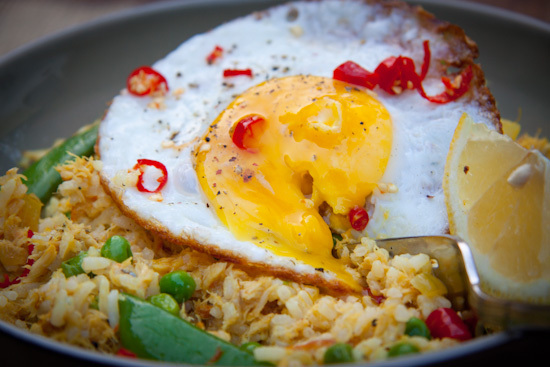 Kedgeree is great for easy dinners.Fragrant jasmine rice with spices, peas and smoked snoek topped with a perfectly fried egg and some chopped chillies. Kedgeree is said to have been brought to the United Kingdom by British Colonials who really enjoyed it in India. I certainly don’t blame them. Easy, flavourful and with a kick of spice…who wouldn’t love this? Traditionally Kedgeree is made with Smoked Haddock, hard boiled eggs and Basmati rice but I decided to mix it up a bit. I’m not a fan of hard boiled eggs so that was the first thing to go, I decided to top my Kedgeree with a beautifully fried, sunny-side-up egg. And, although I love Basmati rice, we always have Jasmine rice in our house so that was the second substitution. And although I don’t have a problem with smoked haddock, I just thought the flavours of smoked snoek would be so much yummier. 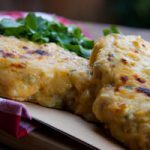 Snoek has such a distinct flavour and this also meant that the dish would be a lot more South African. I was a bit skeptical about what my family would think of this, but they all dove right in and absolutely loved it. and this will definitely be a regular in our household from now on. It’s yet another way to make great use of all the wonderful fresh vegetables we have in season so feel free to use anything you can lay your hands on. I decided to use baby peas and sugar snap peas for their sweetness but Asparagus, courgette and broccolini would all be perfect in this. 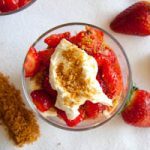 Another great thing about this is that it works equally well as breakfast or supper so feel free to try it any time of the day. I sure as hell will! In a large saucepan, heat the oil and butter together. Add the onions and garlic and cook for 5 minutes until soft and translucent. Add the spices and cook for a further minute or two. Add the rice and stir to combine and add the stock. Bring to a boil then cover and simmer gently for 10 minutes. After 10 minutes, fold the peas, cream, snoek and some salt & pepper through the rice and cover again. Allow to steam off the heat for another 10 minutes. 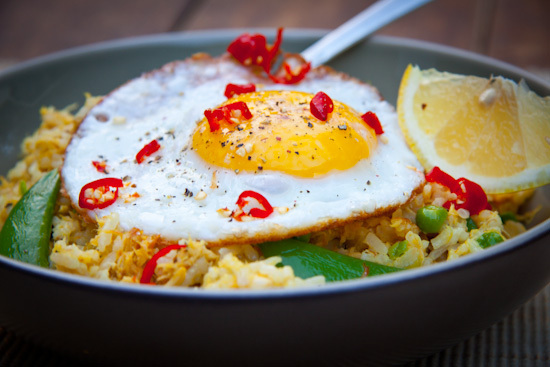 Serve the kedgeree with a freshly fried egg ontop sprinkled with some chopped chillies.